Your marriage is a beautiful expression of the love you have for your spouse. Express that timeless love with a beautiful sterling silver heart or marriage charm from Charm Factory. These sterling silver charms come in various sizes that can fit your bracelet or necklace. Every charm comes with a jump ring that easily attaches to your existing bracelet or necklace. 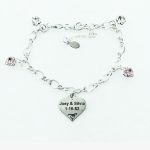 Sterling silver heart and marriage charms also make the perfect gift for a wedding or anniversary. Select from a variety of options that we have available at Charm Factory. We can even pre-assemble your gift before shipping for a small assembly fee. 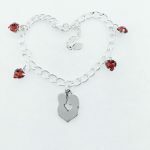 The heart and marriage charms we offer at Charm Factory are made of high-quality .925 sterling silver that is free from cadmium, nickel and lead. Plus, all materials used in the charms at Charm Factory are made right here in the United States. These gorgeous sterling silver charms are built to last for years to come! We will begin processing your order as soon as you place it at Charm Factory. 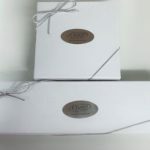 We can hand-pick, carefully package and ship your order the same day you place it in some circumstances. If you need your order quickly, you can choose expedited shipping during the checkout process. Browse through our online store that is stocked with over 5,000 charms or contact us with questions today!